Kaizen: It's the Japanese word for "continuous improvement." 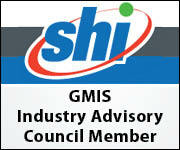 That is the essence of what GMIS is all about! Hopefully you will enjoy this new and improved GEM newsletter. A lot of sweat equity was invested to launch the new GEM, and we are excited about the end product. 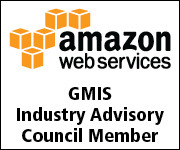 Not only has the GMIS Board been busy improving the GEM newsletter, but we also have been working to improve the GMIS.org website. 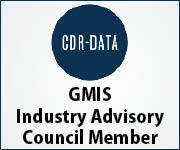 And we guarantee you that the next GMIS International Conference will be one of the best ever. Kaizen. 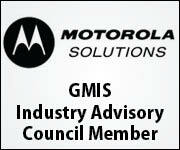 Join GMIS International for our 2014 Annual Conference on August 17-20 in Savannah, Ga. This year's conference theme is "The Art of IT," which brings together today’s IT challenges facing public sector IT professionals and the culture and art of Savannah! The creation of an information technology department for state government might or might not save Florida money. The government is saving money by offering more online services. But some worry that seniors and other without access to the Internet are being left behind. Government Product News reached out to Van Ristau, chief technology officer of Herndon, Va.-based DLT Solutions, to find out about trends in IT spending and technology acquisition in local and state governments. Fiscal constraints will challenge government for the foreseeable future. While this might appear daunting, budget pressures can create an innovative environment and powerful incentives to rethink traditional approaches to mission support and service delivery. The biggest obstacle to your IT career success may be your inner voice, says Dell CIO Adriana Karaboutis. Okay, just about everyone is convinced at this point – cloud computing is a good thing that can provide tremendous business value, if applied properly and smartly. The question is, who is going to make this all happen? In a recent blog post, Gartner distinguished analyst Nick Jones outlined 10 mobile technologies and skills that organizations need to master over the next two to three years. Additional training for enterprise IT staff will be especially critical during this time since mobile technology is evolving so quickly, with new risks as well as new capabilities emerging. What do you think of when you hear the term "smart city"? 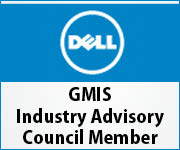 For many, the term brings to mind the metamorphosis underway across the nation to digitize and automate facets of our daily lives, improving the effectiveness and efficiency of municipal services, shortening residents’ daily commutes, reducing natural resource consumption and attendant pollution, attracting businesses and creating connected communities.